Of all the pitches I receive, those requesting I take a look at speakers or headphones are the most common. To be frank, there are really only a handful of quality Bluetooth speakers that our readers aren’t already hyper aware of, and we could easily fill our pages with negative reviews of them. 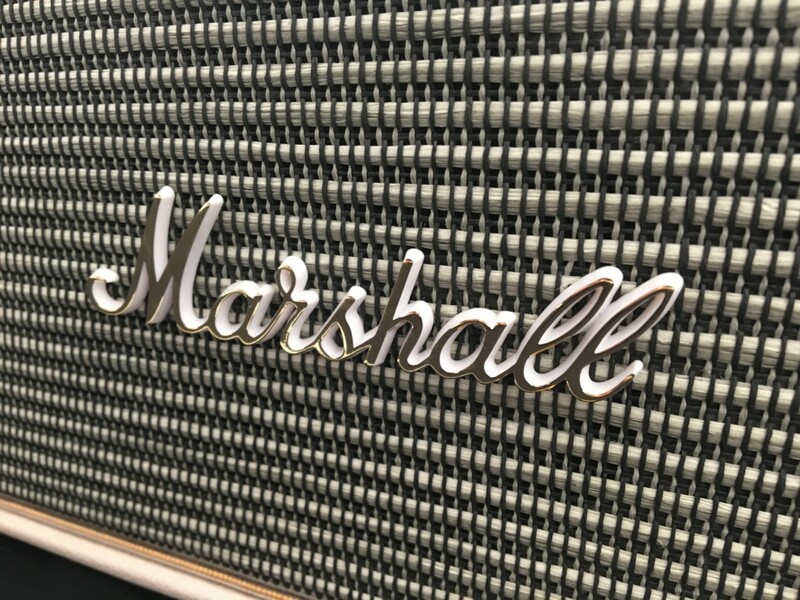 Marshall’s offering ‘Acton’ hits the sweet spot for me. It’s from a reputable name in the industry, and flies just far enough under-the-radar to ensure not everyone in cyberspace is hyperaware of its existence. Plus, it looks pretty damn cool. From the moment you open this thing you can tell it’s cut from a different cloth. Not a detail was overlooked in recreating an accurate representation to the amps that your favorite rock bands have used to rock out for decades. 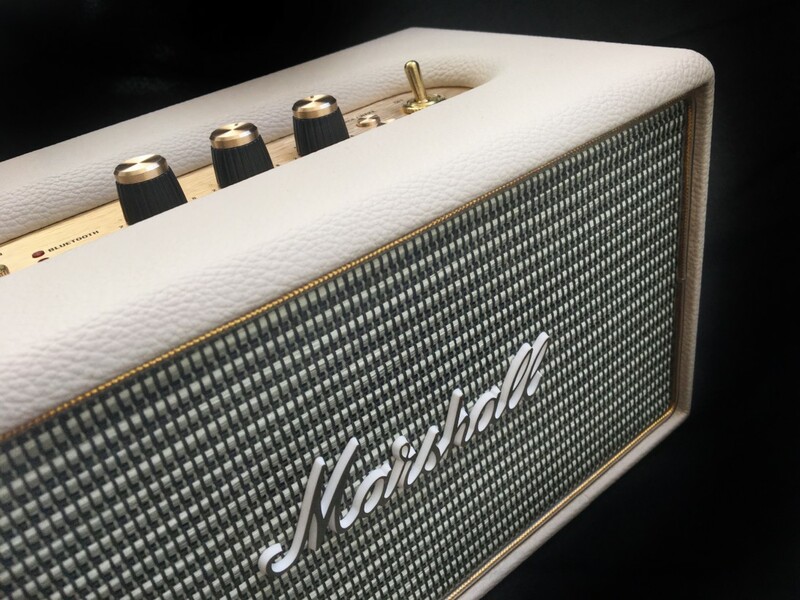 From the classic Marshall logo on the front, to the retro appeal of its faux leather-wrapped body, gold finishes and classic grill. 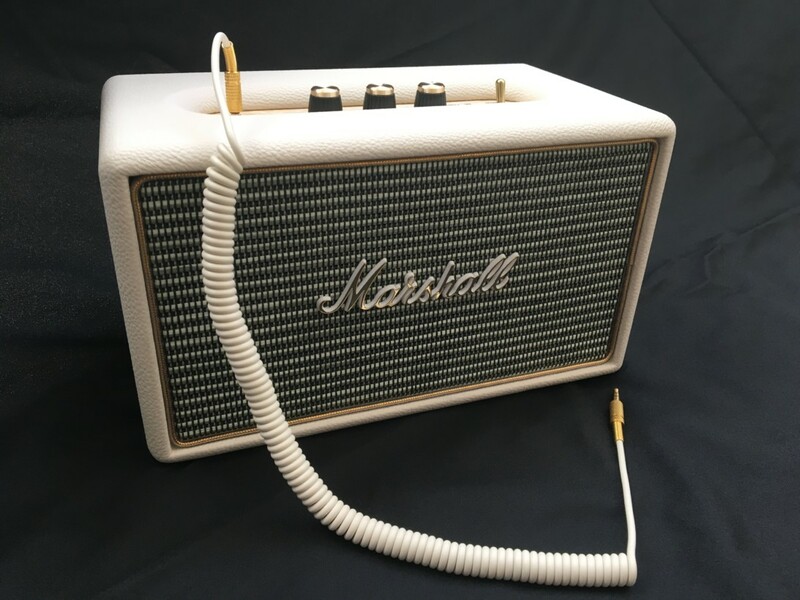 This is undoubtedly a Marshall product. Even the 3.5mm cable looks like a miniature replica of a cord that could just as easily be plugged in to Hendrix’s guitar as your smart phone. Or, maybe you don’t want to plug it in at all. Cool, you can rock out until your battery dies with Bluetooth. In my brief testing window so far, the Bluetooth performed admirably. It should be noted, however, that research showed others have had issues with it. The most common of these was in range, with some users reporting they couldn’t connect past around six feet or so. For me though, it performs as it should — at least so far. I’ve yet to experience any of these issues. 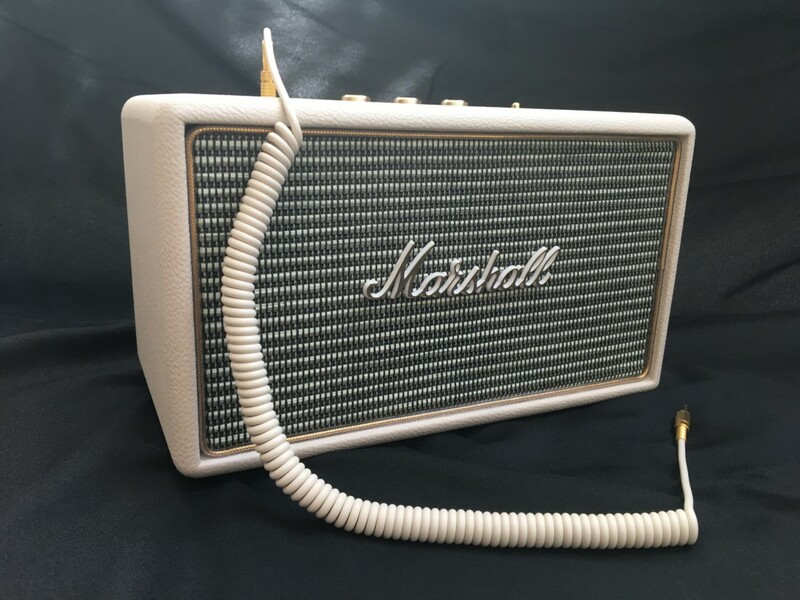 I really don’t know what to say about the sound that hasn’t been said about Marshall products for decades. It rocks. Tipping the scales at just under 7 pounds and standing all of six inches tall, this speaker packs a ton of punch into a small package. 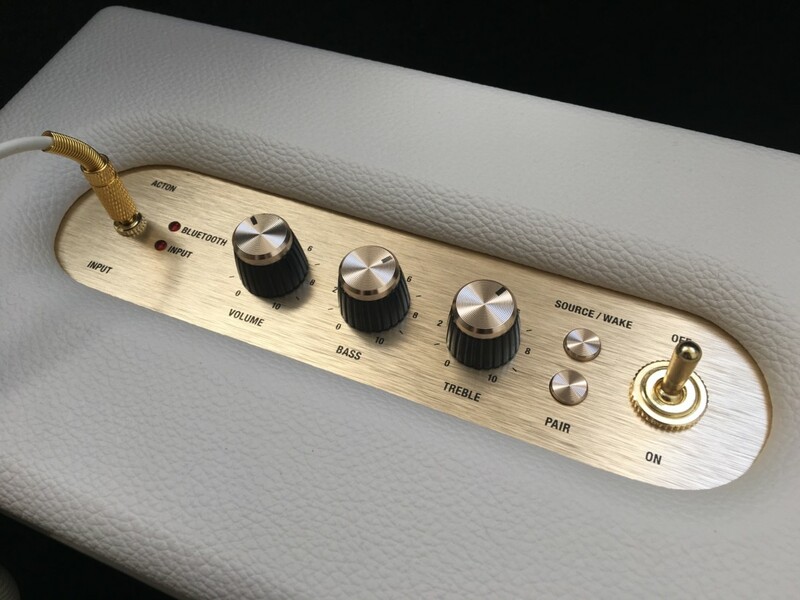 The individual adjustments allow for precision tuning of bass and treble and putting the volume nob on 10 is enough to piss off your neighbors, even while inside your house. It can be a little bass heavy at times, but a quick adjustment is all it takes to tone it down a notch or two. Overall, the sound quality is outstanding. 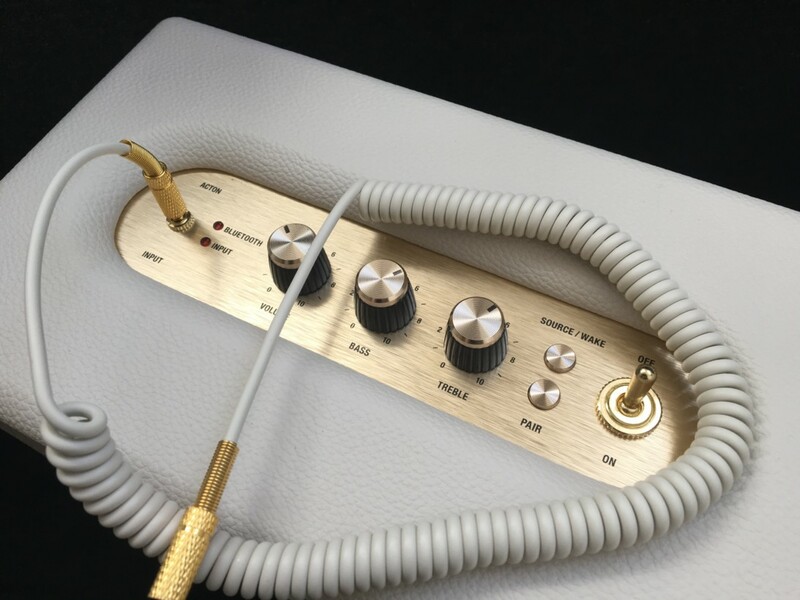 The highs are rich and vibrant, mids offer amazing vocals and instrumentals, and the low end frequencies are as good or better than any speaker in this price range. At $249, it’s really a no-brainer buy for anyone looking for something in this price range. 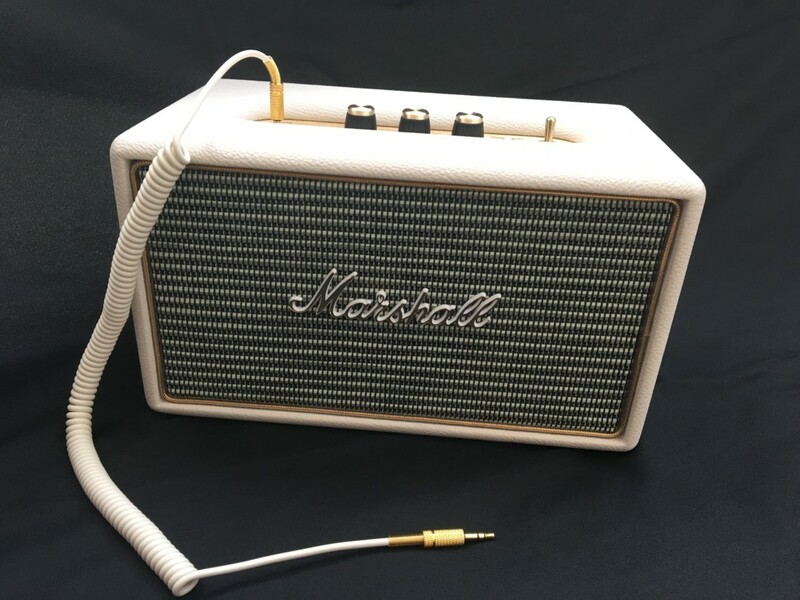 The small footprint, amazing look and unbelievably rich sound leave Marshall in a class with few peers.